Kevin has always had an affinity for science. In high school, Kevin’s chemistry teacher helped him realize his aptitude for the subject, and he decided to study chemistry in college. He was awarded the Second Century Scholarship in chemistry at James Madison University, where he began his undergraduate studies in 2012. During this time, Kevin was an active member of Alpha Chi Sigma, the professional chemistry fraternity. After graduating, Kevin worked in Martha Jefferson Hospital’s medical laboratory for two years in Charlottesville, VA. He is now pursuing his passion of research as a graduate student at Virginia Commonwealth University. 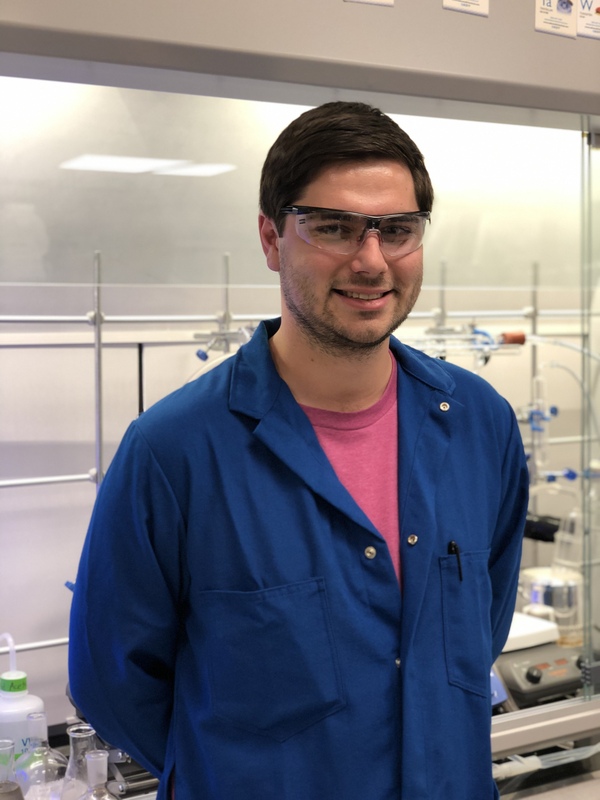 Kevin joined the Kelly Group in 2018 where he plans to refine his education in organic chemistry. Outside of the lab, Kevin enjoys reading, snowboarding, and spending time outdoors with his wife, Jordan, and two dogs, Ender and Eve.